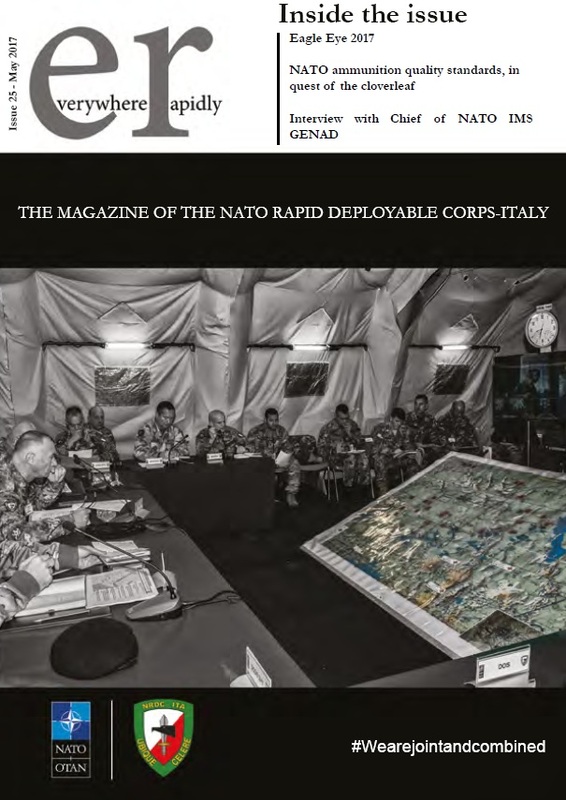 NRDC-ITA NATO - 28th June - Everywhere Rapidly, the latest issue available. NEWS > ARCHIVE > Archive 2017 > Archive 2017 - 06 > 28th June - Everywhere Rapidly, the latest issue available. 28th June - Everywhere Rapidly, the latest issue available. A new release of “Everywhere Rapidly”, the NRDC-ITA magazine, is now available. A second stand-by year as Joint Task Force HQ is about to finish while the NRDC-ITA is preparing for its Combat Readiness evaluation (CREVAL) as Land Component Command of the enhanced NATO Response Force (eNRF), a responsibility to be taken starting from 2018. In this issue, a recap of the most important events hosted by the NRDC-ITA during the past months such as the Eagle Eye seminar - an event organized to maintain high the awareness in NATO of present security concerns - and the first seminar on the Intelligence support to Targeting (TARINT). In addition, the magazine hosts interviews with the NATO Gender Advisor on the coalition approach in the integration of UNSCR 1325 and gender perspective into planning, and with the director of the Italian War History Museum and much more. 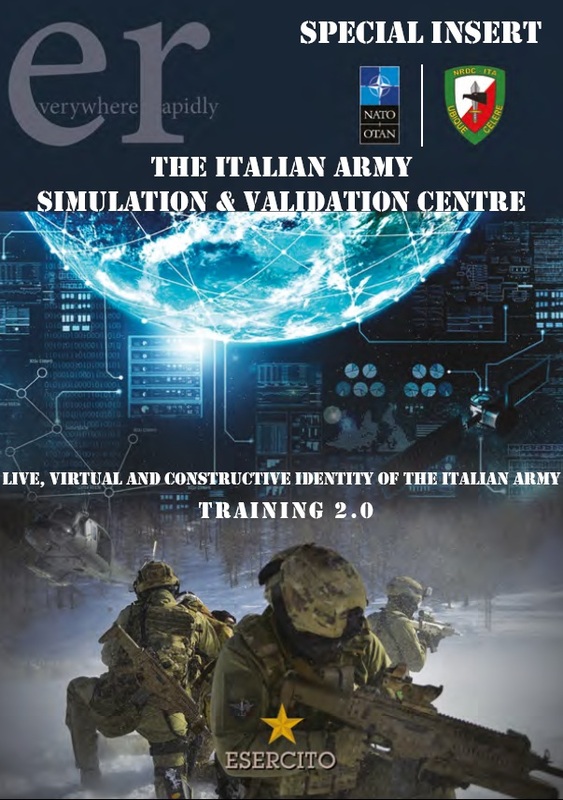 A Special Insert presenting Ce.Si.Va., the Italian Army Simulation and Validation Centre, a reliable partner in the HQ training activities also comes with the latest issue.